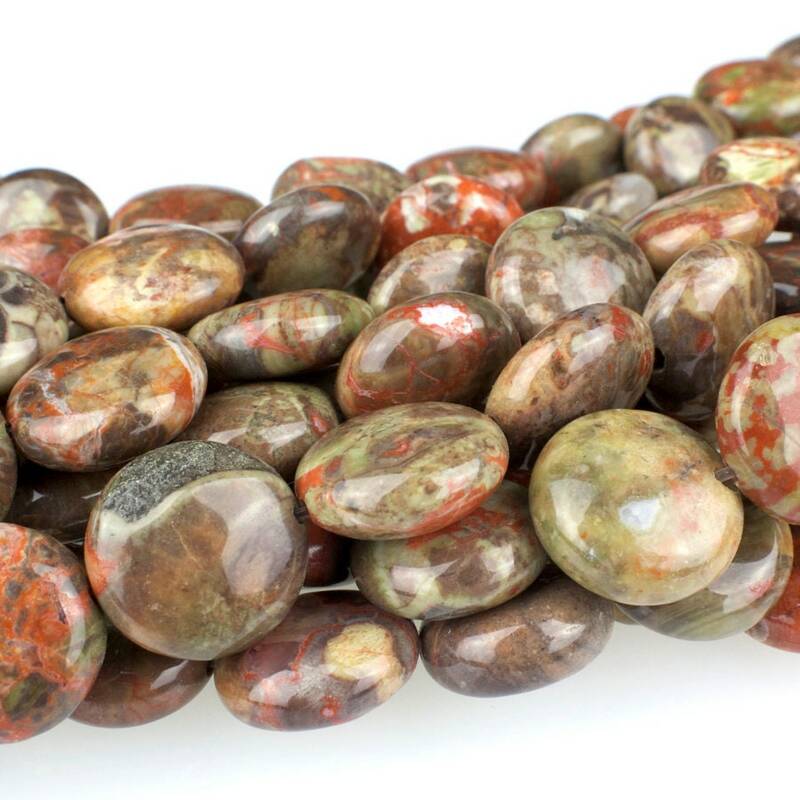 Peacock Jasper is a form of microcrystalline Quartz, a member of the Chalcedony family. It naturally occurs in a wide variety of patterns, and in colors including pastel green to deep moss green, brick red, cream and gray. It also exhibits occasional inclusions of clear Quartz. The swirling patterns of the stone sometimes form in an orbicular pattern, reminiscent of the circular designs at the tops of peacock feathers.